Wayne Cave receives flight instructor safety award. Wayne Cave of Chinook Helicopters, Fixed wing division received the 2018 David Charles Abramson Memorial Flight Instructor Safety Award. Organizers of the award explain Cave, who has been an aviator since the age of 17, quickly found a passion for flight instruction. 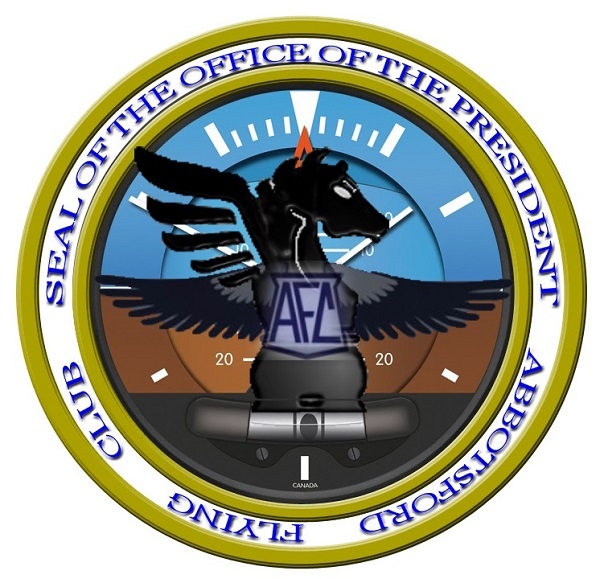 His 14 year tenure with Coastal Pacific Aviation, explains the award organizers, enabled Cave to develop a variety of post-secondary Curricula for aviation programs. For more than a decade, Cave has greatly influenced the safety training for a large portion of the pilots who have trained in Abbotsford, BC, where Chinook Helicopters is based. Cave started up the fixed-wing division for Chinook Helicopters. Cave holds an Airline Transport Pilots license and Class 2 instructor rating as well as multi-engine and IFR ratings. This entry was posted in Blog, Club News, Newsletter on 2019-03-05 by Secretary. Many thanks to Warren LeGrice for facilitating the first IFR/VFR Safety Refresher workshop of the year. Just a reminder, these will be presented the last Saturday of the month and include much valuable information not just for IFR prospects but all pilots. This entry was posted in Blog, Club News, Newsletter on 2019-03-04 by Secretary. VANCOUVER, BC- February 24, 2019-It is with deep regret that due to unforeseen circumstances outside of our control we must postpone The Sky’s No Limit – Girls Fly Too! 2019 event until after the BC wildfire season. The good news is that the new date coincides with the week of International Day of the Girl, a Canadian-driven UN observance, on Oct. 5 – 6, 2019. As many of you know, we outgrew the largest available hangar four years ago. Since then our event has been graciously hosted by BC Wildfire Services at the Air Tanker Base at the Abbotsford International Airport. Unfortunately, due to a second year of extreme wildfires and flooding in 2018, some of the essential resources we need to run the event are not available to us as they normally would be. Despite heroic efforts on the part of many, we were unable to secure replacement resources in time to meet the planned dates of March 9 – 10, 2019. For those of you that have already been successful in booking your flights, we are happy to transfer your flight to the same day and time on the new weekend of Oct. 5 – 6. Over the next few weeks we will be sending out emails to confirm this with you. We will also have more time to run regular social media challenges in advance of the event! For those of you that have volunteered with us, we will be reaching out to you shortly to confirm your availability for the new dates. The Sky’s No Limit – Girls Fly Too! is the world’s largest event of its kind to inspire female future leaders in Aviation, Aerospace, Marine & Defence, as well as other high-tech STEM fields. The life-changing event is organized by the Achieve Anything Foundation traditionally held annually during the Week of International Women’s Day. In 2019 the event will be held during the International Week of the Girl. Weather permitting, hundreds of free flights are provided to female first-time fliers of any age. Events are fun, hands-on, and completely free to ensure there are no barriers to participation. This is thanks to the generous support of industry and community partners such as the Lockheed Martin Corporation, Abbotsford International Airport, Teck Construction, University of the Fraser Valley, Pacific Region Training Center, Government of British Columbia, Verrault Lowbed Service, Seaspan and many others. Events are open to the public and everyone is welcome– no registration is required to attend. In 2018 the Canadian and US Military, Cadets, RCMP, Canadian Coast Guard, Vancouver Police and various civilian entities joined forces with well over a billion dollars in aircraft and tactical assets for participants to explore. Over 20,000 people from Canada, the US and beyond participated over the two-days event and 1,955 girls and women were exhilarated by their first flight in a small aircraft. Visit www.girlsfly2.ca for more information and event updates. The Achieve Anything Foundation is a federally incorporated not-for-profit organization with a mission to inspire female future leaders in STEM (science, technology, engineering & math), and STEM-based fields such as Aviation, Aerospace, Marine & Defence. With the mantra “From shop floor to top floor” the Foundation employs a unique hands-on approach towards changing perceptions and improving gender diversity in high tech fields. Brazier is a professional pilot from the Lower Mainland, BC and she holds Canadian and US pilot licenses with Airline Transport Ratings for both aeroplanes and helicopters. With over 25 years of flying and aviation management experience, Brazier has enjoyed a diverse career flying across Canada, US and the Caribbean on wheels, floats, skis and skids as well as two-crew operations in both aeroplanes and helicopters. Happy New Year, fellow Abbotsford flying club members! The New Year means different things to different people. For most people, it means resolutions with the goal of becoming a better person. On my daily dog walks, evidence of this appears in the form of a flock of joggers who I have noticed running around the neighbourhood. In the past I used to make a resolution every year to fly more, to eat less, exercise more and work at being a better husband and father. By the time July rolls around, I would have made a few minor changes but typically I’ve settled into a groove and the changes aren’t as noticeable. For the past couple of years, I’ve just started setting out regular times to reflect on how things are going and work out how to make things better. The constant approach seems to work better for me and gets me to ensure that I’m balancing my duties and the things I value based on the situation at hand – rather than one I may have imagined back in January. So what self-improvements does your situation allow for? Are you going to volunteer more? Are you going to spend more time with your family? Are you going to try to make new friends? The holidays provide a time for reflection, but are you prepared to set up times during the upcoming year to reflect, take stock and recalibrate? With respect to the club as a whole, we have a lot to look forward to this coming year! We have our special events like Wings and Wheels, First Flights for Kids, the Airshow and a number of weekly TGIFs (some of which follow a theme). We have a year of flying to look forward to – weekend flyouts, events at other clubs, air races and our new aircraft to fly. There are also a number of new members who I’m sure it will be good to get to know over the coming year. I wish you all the best in 2019 – may you be blessed with blue skies and fair winds for all your flights. This entry was posted in Blog, Club News, Newsletter, President's Column on 2019-01-06 by Secretary. The New Year’s dinner party that was organised by Clark Closkey was an overwhelming success. The table centrepieces were made by Jeanette Campbell. We had real table cloths, courtesy of Leanne and Murray Webb. 44 steaks were served with salads, onions and more than 20 pounds of Jill Greystone’s mushrooms. There was also a great selection of desserts to choose from. The dress code turned out to be an exercise in elegance. It looked more like a captain’s dinner on a cruise ship instead of a club function. Well done ladies and gentlemen. Adrian did a head count at 1030 pm and out of 44 people, 42 were still there. It appeared that everyone had doubled up on their Geritol. Didn’t see a thing, didn’t hear a thing, Didn’t say a thing! Jill prepping her wonderful mushrooms! This entry was posted in Blog, Club News, Events, Newsletter, Socials on 2019-01-04 by Secretary. The last TGIF of November was our decorate-the-club-night to prepare for the festive season! A cooperative project that spanned over a few TGIF’s to make paper chains. They now adorn the ceiling of the meeting room. Some of the decorators kept saying that decorating the club was a lot of fun. This entry was posted in Blog, Club News, Newsletter on 2018-12-03 by Secretary. A sampling of some of the volunteer work done by our members over the last month. Thanks! Bevan Tomm worked on our Glastar, making it lighter by updating the battery installation. Warren LeGrice provided an orientation on the club’s new Glastar. Luciano Nisi upgraded the club’s towbars with padding to make them less likely to damage the wheel pants. Luciano also carefully polished scratches out of the aircraft windscreens the same day. Ken Campbell built the clubhouse’s new front steps with a little help from Jim Hendriks. This entry was posted in Blog, Club News, Newsletter on 2018-10-09 by Mark Thibault. The club has a new airplane! Our 3rd aircraft is a 1999 Glastar, C-GSBS (Glastar #11) ! Since embarking on the Glastar search in early spring, a suitable aircraft has finally been successfully acquired. After discovering 11 Glastars for sale over the last few months, and making several trips to see 5 of the better/closer ones including to Washington, Oregon, Idaho, Montana and Alberta, we got lucky and found a very nice one already in Canada in our own back yard, Pitt Meadows. Through a stroke of good luck, we connected with Ken Smith of Upper Valley Aviation after he was contacted to sell one for the owner. This was fortunate for us because the good ones sell fast (sometimes in less than 24 hrs) and often to locals before they even hit the main stream advertising. After competing for early access to far away airplanes, finally the tables had turned and now we were the ones with the “local advantage”. We were determined to not lose that advantage. An immediate sneak peak was arranged in Pitt Meadows and attended by Chris, Adrian and Bevan despite the owner being away on vacation followed by a more thorough look by an AME assisted by myself (Bevan). The idea was to rule out any likely surprises. While it is not a perfect airplane (none are) it was determined that the negative details were minor and easily corrected. A dialogue to buy was initiated and after a few days of negotiations, a price was determined and in 2 weeks since learning of this great opportunity, the deal was finalized with the aircraft being delivered to YXX just before sunset on Sept 5th. The Glastar is an amateur-built, two seat sport plane. This one has a power/weight ratio approximately 20% higher than our other aircraft and with the constant speed propeller, all the power is available on the takeoff roll and climb out unlike our other aircraft. I think you will find this to be a sporty, slightly different, and fun to fly aircraft. We expect/hope it to cost less to operate despite the same sized engine (fuel/hr is not the only driver of operating cost) as the other aircraft in the fleet. If we can keep the maintenance/repair costs down, and learn to operate it efficiently and to a high standard of proficiency (practice practice practice), I believe we can lower our hourly costs. We should try our best anyway. Following are some specifics for this particular Glastar. Currently, our Glastar has oversized (draggy and heavy) tires, and heavier nose gear strut. Better speed, and economy can be had with standard sized tires and wheel pants. I don’t have performance numbers as I’ve not flown it enough in this configuration to determine. Also, the large draggy tires and free castoring nosewheel make it quite difficult to push backward as into the Hangar. It’s worse if it’s up hill as our Hangar is. So a word of caution, DO NOT take it out of the Hangar if you do not have 1 or 2 helpers to push it back in. One to operate the tow bar, two to push. DO NOT UNDER ANY CIRCUMSTANCES, PUSH OR PULL ON ANY PART OF A CONSTANT SPEED PROPELLER as the large bearing races could be damaged. Since two helpers will be rare when there’s only one passenger seat, the hanger winch system is being repaired. Considering the wing span (similar to our Cessna), there’s not much room on either side to clear the Hangar doors even when they’re fully open. Therefore extreme care must be taken or damage may result. Several things I like about this Glastar compared to all the others I looked at. This one appears very well constructed (the best actually) when looking at overall quality of metalwork, fibreglass work, rivetting and electrical wiring to name the key areas. The welded fuselage cage is factory welded (all Glastars are but other designs are not). I believe the fuselage halves were likely bonded together and mounted to the frame at the factory. This Glastar is in very nice overall condition, has a basic instrument panel (easy to work on/upgrade modular instrument panel), but has an added auto-pilot, has a good engine/prop combination making it a great platform to build on for the future. It could be enough fun, capability, and challenge as it is, but this aircraft design and this particular example should be easy to maintain and upgrade if desired. I believe we should do our very best to learn to fly this aircraft to the very best of our abilities so as to not cause it any damage. It was hard to buy a nice one and I don’t want to have to go through this again anytime soon. If you notice me taking any damage personally, you might understand why. Please treat her as she was your own when she’s in your care. I’d like to thank the following who spent considerable time and effort, support and knowledge to make help this endeavour successful. Cheryl for allowing me to be away (physically and mentally) so often during this time. This entry was posted in Aircraft, Blog, Club News, Newsletter on 2018-09-11 by Mark Thibault.